First and foremost, I would like to take a moment to express my gratitude to all the visitors of this blog. Rest assured that all the likes, comments, follows and views are all appreciated. Thank you so very much, my blog is progressing rapidly. Secondly, I would like to reiterate my strong distaste and defiance to those who are planning on stealing other bloggers’ works, images and creations. Please adhere to proper requirements and authority in acquiring the images and words of others. Re-blog and ping back away as much as you pleased. Ask first or link back if you do intend to use the materials I have in my blog. Last and the least, if you do follow my blog, I do wish for some interaction. And before I completely forget, thanks for linking my posts to other channels such as Twitter, Google+ and Facebook. Thank You! These two pandas, they made me laugh. All they do is lounge there, eat pounds and pounds of bamboo, and be all cuddly. I’m just saying, it must be nice. 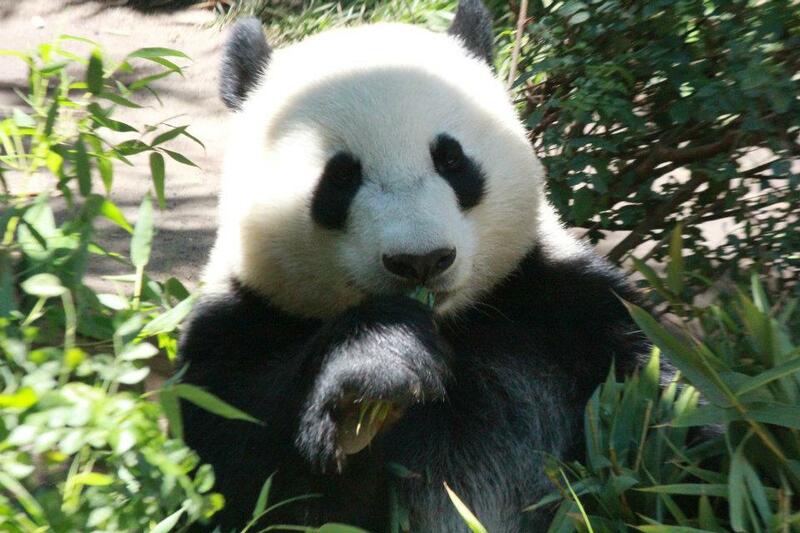 There are only four zoos in the US that currently have pandas: Atlanta, Memphis, San Diego and Washington. San Diego Zoo, together with The Safari, is one of the main reason why Balboa Park is a must visit. Here is Fergiemoto and a zoo collection of amazing animal photos. The favorite subject of this blog is nature, most esp. birds and other winged animals. Taking thorough processes in creating the pictures, images of “album of creativity” are uniquely and impressively presented. See this nature and photography yourself and be Creativity Aroused. 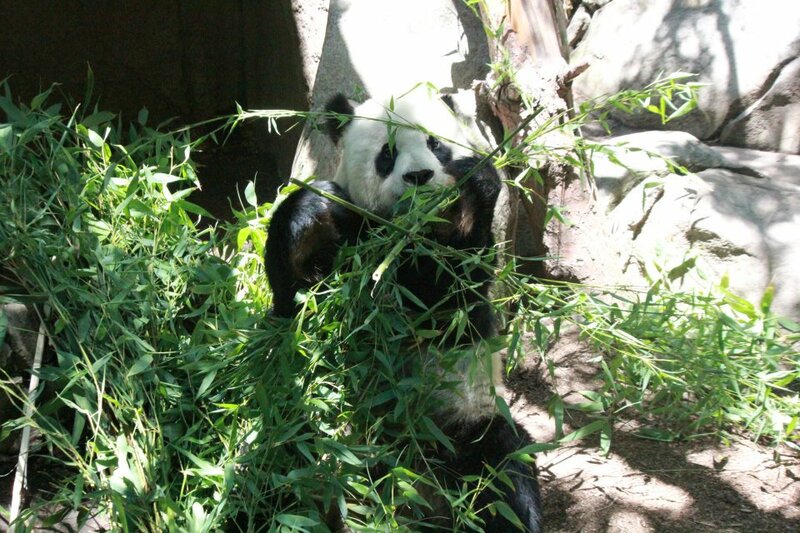 This just in … Panda in San Diego Zoo gave birth last Sunday. Ahihihi… The narrator in the background won’t stop talking though. Hehehehe. Great facts and trivia the guide put out though. I know. I’d trade lives with them even for just a week. Not the French dressing, Ceasar. Deserved Winner! In Madrid we have now four Pandas, i’m huge fan of them! Madrid is lucky to have four. Most of the zoos I mentioned only have two. Pandas are endlessly fascinating aren’t they? On the subject of ping backs and reblogs, nobody ever asks me if they can do it. I don’t think it really matters. Some blogs have no original content, just other people’s work. I don’t see the point. Something I find curious is that I never hear anything from 90% of my followers and I’m sure most of them don’t even look at posts. Why bother subscribing? My sentiments exactly. I had to be honest of my curiousity on that matter. The number of bloggers following increased rapidly recently. However, most of them feel like one-time attention and that’s it. I’m baffled by it. Whenever I see something from Blogs I Follow, I do bother to take time to read and comment. I do love my usual commenters though :D. Most of them are great, legit and genuine bloggers. 😀 Much I appreciate the immediate rise to the number of followers I got, I do love the interactions much better. Just saying. The interaction is the best part of blogging. here! here! applaud your sentiment. Ow, i don’t mean anything. There are tons of different kinds of bloggers and blogging ways. No problems on how you a blogger does it. It’s your blog, your personality, your way. Sorry, I really don’t mean anything. Like said, you post awesome travel pics, Martha. Love your photos and your blog always makes me smile, laugh, or is very thought-provoking. Great job Rommel! 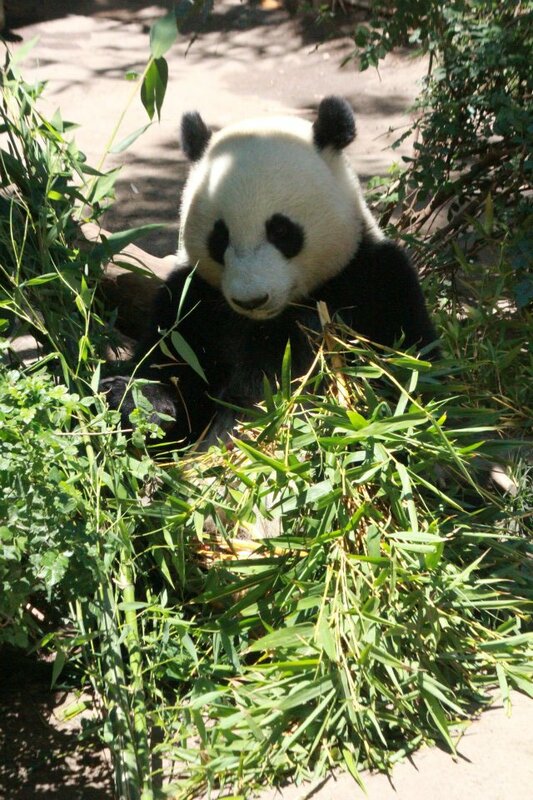 Just read it, one of the two Pandas in San Diego just gave birth to four pandas, setting a record. I updated the post providing the link to the blog. I love your photos and love the pandas! On one of my trips to China, as soon as the bus stopped at the zoo everyone took off to the see the pandas! My lucky grand daughter got to hold a cub when her Chinese school group visited the panda research center! Her dad shelled out big bucks to take the picture of the baby panda sitting on her lap!!! BTW, did you see the photo of the Filipino delicacy I ate? Look under ‘Philippines Mission Work’ if it’s not in Recent Posts. Day 26 –> 20 Me! 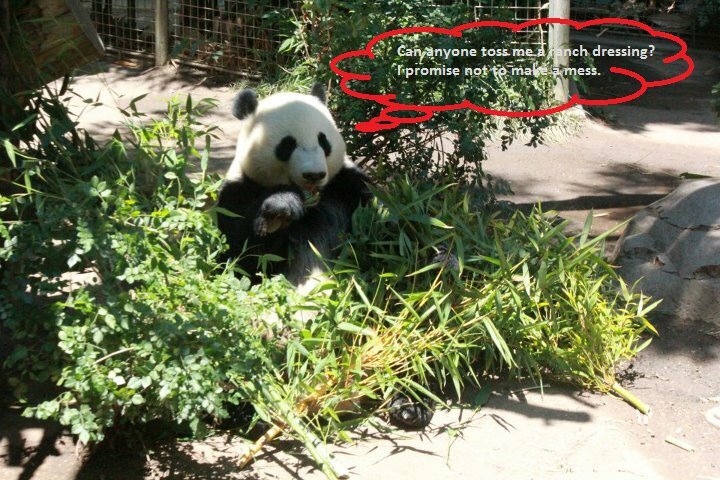 It just so happens that I’m going to post about pandas too… and he did it and he’s awesome and I just reblogged him. What gorgeous photos. Pandas are such cuddly-looking creatures. My sister replied the same thing when I posted these picture on Facebook. ???? ….what do you mean? didn’t get it. Everytime I click on your name, that’s the message showing. Update your gravatar. You might had typed it wrong. Or, maybe change your primary blog if you have multiple blogs. Cuddly, but I’m not sure I would want to be the one they cuddled. Great pics. I love the blogging world. I am going places and talking to people I never imagined I could. Thanks for visiting my blog, and I always enjoy yours. Thank You! I always love California blog, as much as other travel blogs. Great panda photos! I don’t recall seeing one in person before, so hopefully I will someday. Thanks so much for featuring my blog here! It was a pleasant surprise and is much appreciated! I love the Panda photos. My panda pics are no better than yours. 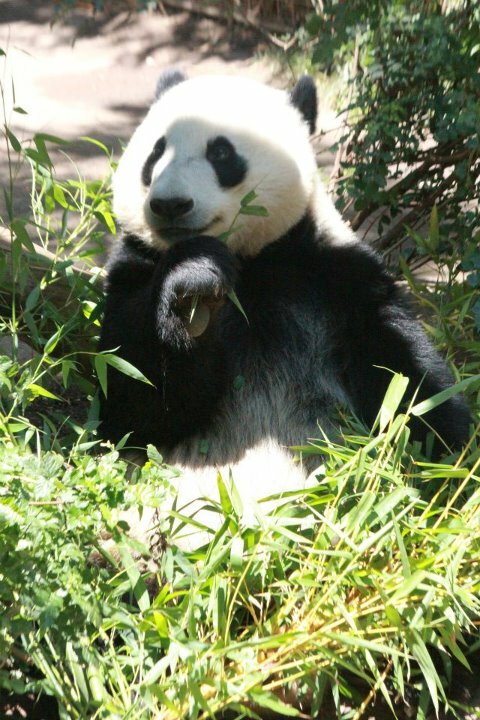 But thanks anyways, any image of panda, in person or in print, sure is adorable no matter what. 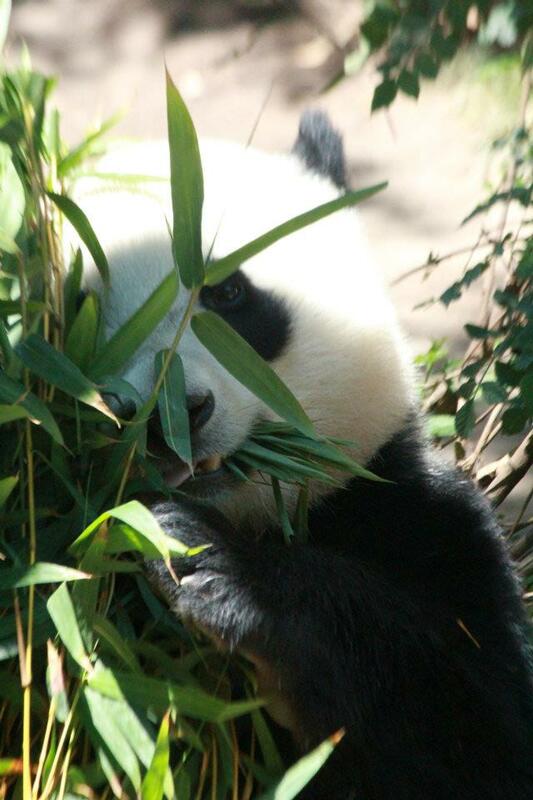 Great panda pics – most people forget they have huge claws and quite nasty teeth that can make short work of bamboo! Simply precious! I could watch them for hours on end!